MILPITAS -- With conveyor belts whirring and new equipment gleaming, a Phoenix-based recycling and trash-hauling company on Thursday opened what it is billing as the largest recycling plant in the world in the heart of Silicon Valley. 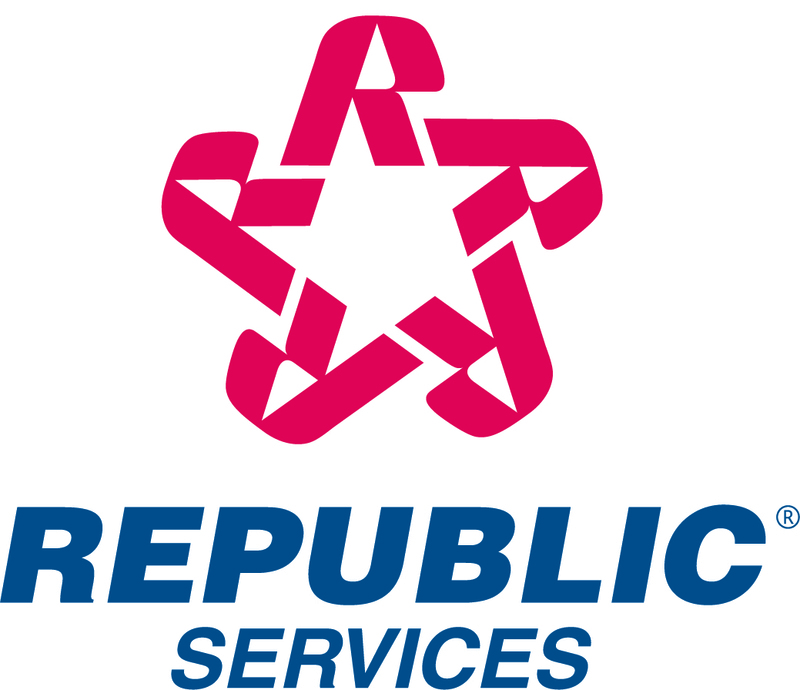 Republic Services, for years known as BFI, christened the $55 million facility on Dixon Landing Road in Milpitas, adjacent to the Newby Island Landfill, which it also operates. The 80,000-square-foot recycling plant can process up to 420,000 tons of waste a year, as high-tech equipment picks through mountains of trash and separate plastics, office paper, aluminum cans, wood, cardboard and other materials that can then be resold -- instead of going into the landfill. "Everything you are looking at previously was going straight to the landfill," said Steve Miller, president of Bulk Handling Systems, the Eugene, Ore., company that built the recycling machinery. "Now it's being recovered." The plant replaces a smaller recycling operation on the same site. It is the result of the San Jose City Council's decision last year to award a 15-year contract to Republic to collect and process all of the trash and recycled materials from every business in San Jose. There are roughly 8,000 business in San Jose whose trash and recyclables go to the plant. As part of the contract, the city required Republic to divert 80 percent of all the waste away from landfills, or the company will face penalties. "Landfills are a rare species," said Cheryl Wessling, a spokeswoman for San Jose's Environmental Services Department. "This project benefits everyone, because the alternatives -- either build another landfill or haul the waste long distances out of the county -- are expensive." Businesses generate about one-third of all the refuse in San Jose, Wessling said. Another third comes from all residential customers, and the final third comes from construction debris. Before the Newby Island plant was built and the exclusive contract given to Republic, there were roughly 20 different companies that hauled business waste in San Jose to various locations, recovering only about a third of the material for recycling. Although the plant takes all of San Jose's business waste, it does not process residential recycled materials, yard waste or garbage from San Jose. There are four other companies with contracts to do that: California Waste Solutions, Garden City Sanitation, GreenWaste and GreenTeam. The plant does process garbage and recycled materials from residential customers in about a dozen cities, including Milpitas, and ranging from Salinas to Elk Grove. Inside the plant on Thursday, 80 workers with hard hats, yellow vests and earplugs separated materials. The five-story facility, which took a year to build, has 1.5 miles of conveyor belts, 307 motors and roughly 60,000 bolts. Some parts are basic: workers hand pick plastic pieces from cardboard and newspaper on a conveyor belt, for example. Other parts are heavy industry: magnets, balers and drum separators. And others are cutting-edge, such as the optical system that zaps millions of plastic bottles and uses spectrometers to measure the wavelengths of light coming off them, and then organizes them with pneumatic devices that send puffs of air out to sort each type. The city's decision to give all its commercial recycling and garbage hauling business to one company raised the bills of roughly half of the 8,000 businesses affected, and lowered the other half, depending on how much waste they were generating and who their previous hauler was. Much of the paper the plant recycles is sold to China, where it is shipped from the port of Oakland and turned into new cardboard boxes, tissues and office paper. Aluminum and plastic stay in the United States. Where a generation ago, a garbage company's main business was to collect junk nobody wanted and dump it in landfills, today, the industry is using high-end computer and aerospace technology to carefully sift the waste of millions of people, bundle it and sell it for a profit. "This is state of the art," said Miller, grinning ear-to-ear.